Why Jani-King for commercial pest control? If you’re already using or considering using our commercial cleaning services, we can add on pest control services so that you receive multiple services with just one point of contact. 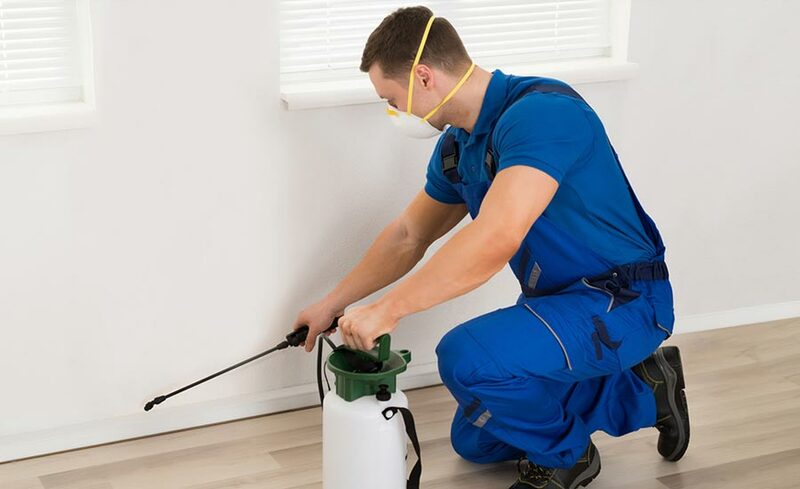 We offer a full suite of pest-control services and products and can respond promptly when needed. We can handle your pest control needs discreetly and give you the peace of mind you need so that you can focus on what’s important; running your business. How many times have you heard horror stories about a cockroach or rat in a local business – and then seen that business lose popularity quickly? Even once they took care of the problem, the damage was done. People will not usually return to a business once they’ve seen pests because they’ll not only assume the problem could re-occur but also have a negative mental picture of the establishment – and this may be permanent. Don’t take a chance on letting your reputation turn into one of being unsanitary; let Jani-King handle your pest control needs. When it comes to pest control, prevention is not only cheaper than eradication; it’s also much simpler. Pests can be challenging to banish once they’ve made themselves at home. It’s much more effortless to make your property unattractive to them so that they never enter in the first place. If you prevent them from becoming a problem, they’ll never have a chance to upset your customers or damage your inventory or property. However, if they are already a problem, Jani-King can help rid your business of them once and for all. When you work with Jani-King for all your commercial cleaning needs, you’ll receive all the services you want with one convenient point of contact and one invoice for everything. This setup means that you won’t have to find and deal with multiple businesses and remember to pay several invoices each month. Instead, you’ll deal only with your friendly Jani-King representative, and all your services will be handled with ease and professionalism. You’ll also save money by using our commercial pest control services because a pest infestation can destroy a considerable amount of inventory – and cost your business. With tried-and-true pest control technologies and outstanding customer service, Jani-King is your go-to solution.